This year’s homecoming will celebrate the history of UCCS with traditional events for students, alumni, faculty and staff. The four-day celebration kicks off Sept. 12. Students are invited to decorate the spine with chalk to show their school spirit and win prizes. Chalk will be provided. Clubs or groups can sign up by emailing gganuela@uccs.edu. Current faculty or staff members who also graduated from UCCS are invited to the complimentary breakfast, registration closes Sept. 7. 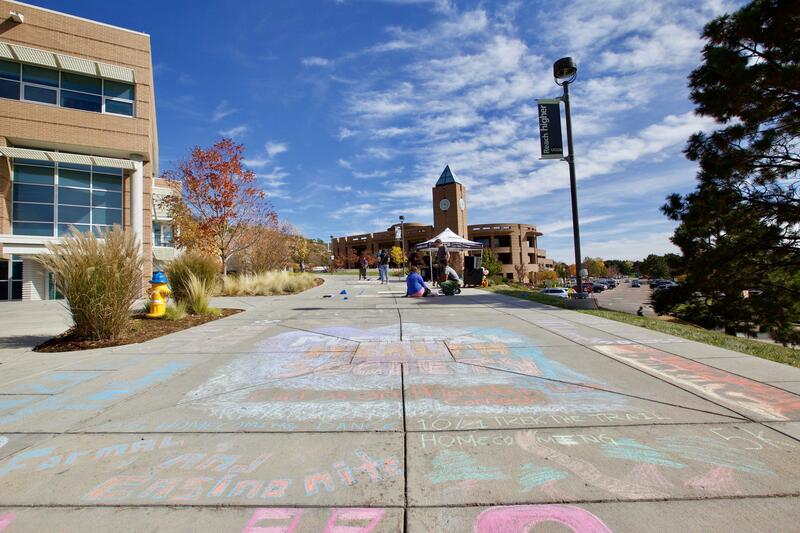 A barbecue buffet, games and prizes will kick off the Homecoming Weekend celebration. Athletics will provide free soccer t-shirts before the men’s game kicks off at 5 p.m. followed by women’s game at 7:30 p.m.
Students will be given tickets at the entrance and can win more by playing games for prize drawings throughout the night. There will be s’mores and other activities while the fire burns. The 5th annual fun run/walk is hosted by The Helen and Arthur E. Johnson Beth-El College of Nursing and Health Sciences in partnership with student organizations across campus. 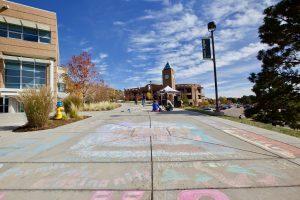 This is a zero-waste event and is the only trail-based run/walk at UCCS. Since inception, the 5k has raised more than $8,800 in student scholarships, provided leadership and learning opportunities for over 140 student volunteers and has brought nearly 250 runners and walkers to campus trails. Registration is open now. Volunteer sign-up here. 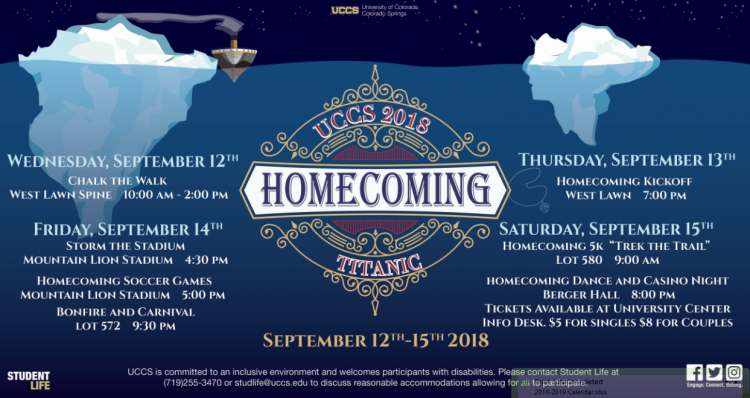 Students are invited to the dance and casino night to wrap up Homecoming Weekend. Tickets are on sale now at the University Center Information Desk, $5 for individuals and $8 for a couple. Alumni are invited to a free tailgate followed by the men’s game at 12 p.m. and women’s game at 2:30 p.m. 21 and over bring ID. Registration closes Sept. 13.